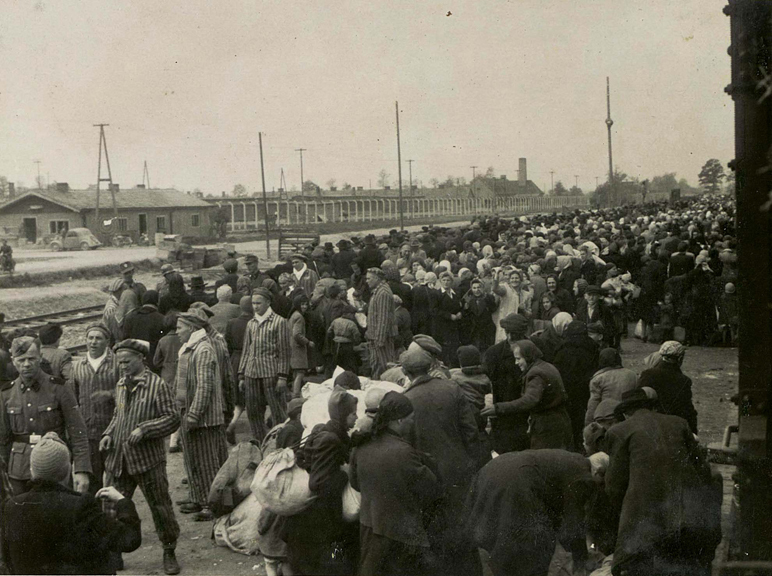 Auschwitz and Auschwitz-Birkenau. 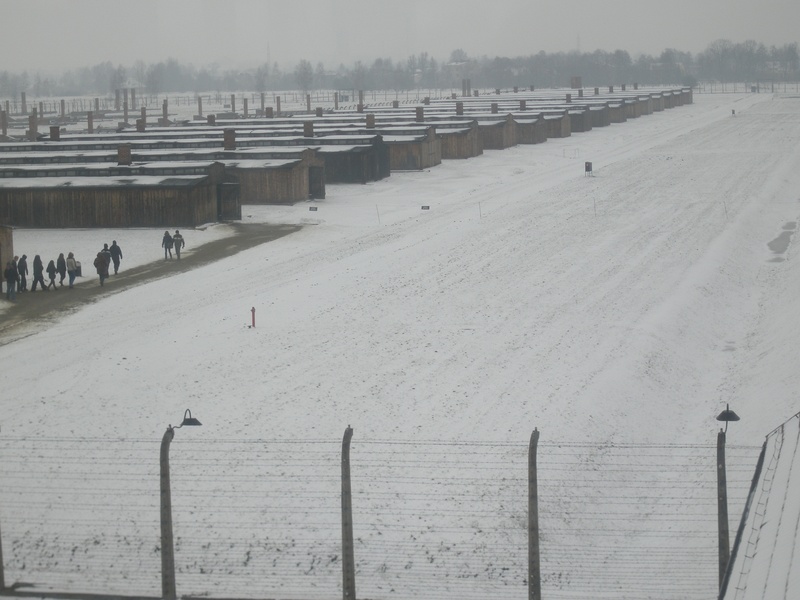 The infamous concentration camps 50km West of Krakow. During 2010, I worked and lived in Poland. I took this as an opportunity to visit some of the great towns and cities of Poland, Including Wroclaw, Warsaw and Krakow. Krakow has to have been the most interesting. Not only is it a beautiful place, with a tremendous backdrop of mountains to the southwest. 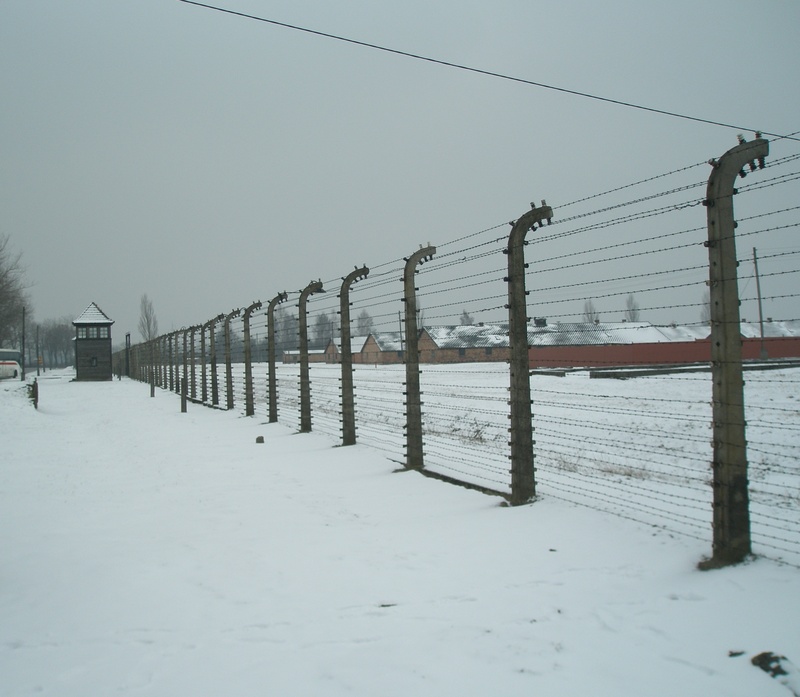 But unfortunately there is a darker side to that area; 50 kilometres away is the home of the infamous concentration camp, Auschwitz. It is not my intention to write the history of this notorious site, that has already been done, and by much better writers than me. I would just like to share some of my photography with you. I am sure, had I visited the two sites in the middle of summer, with greenery, flowers and birds singing, the impact may have been different. But with snow on the ground and it being bitter cold, it was much easier to picture in your mind the atrocious conditions experienced by the people incarcerated there. In his autobiography, Hoess points out that the expression meant ‘work liberates one in a spiritual sense’, not that you will be free. 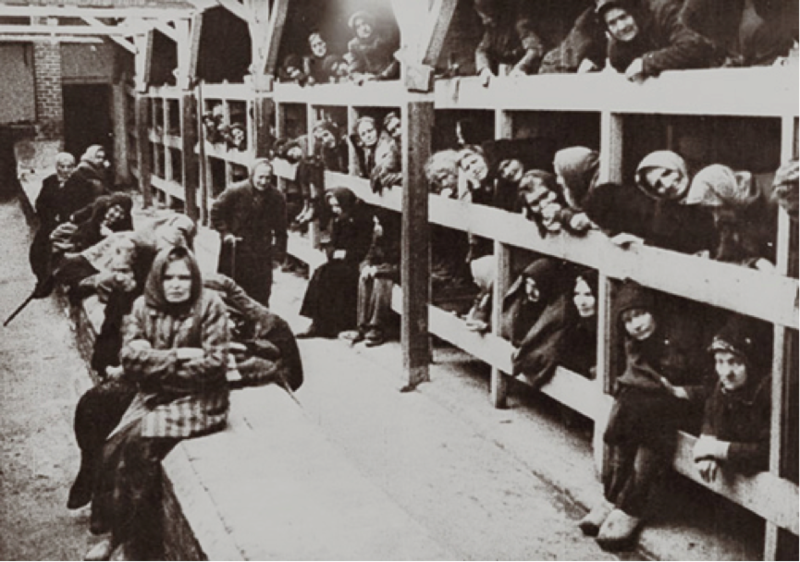 To the Jews, it was later known as the ‘Death Factory”. 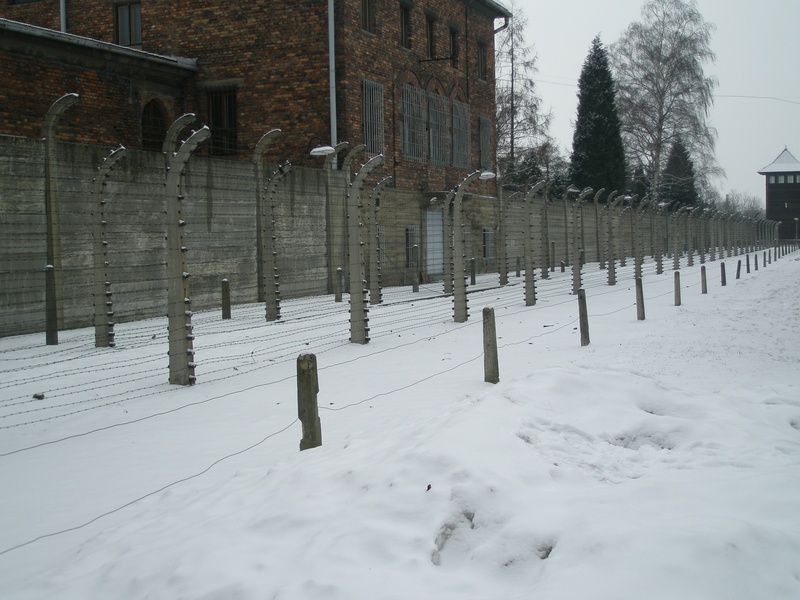 Auschwitz main camp, Camp I, the fences say it all. 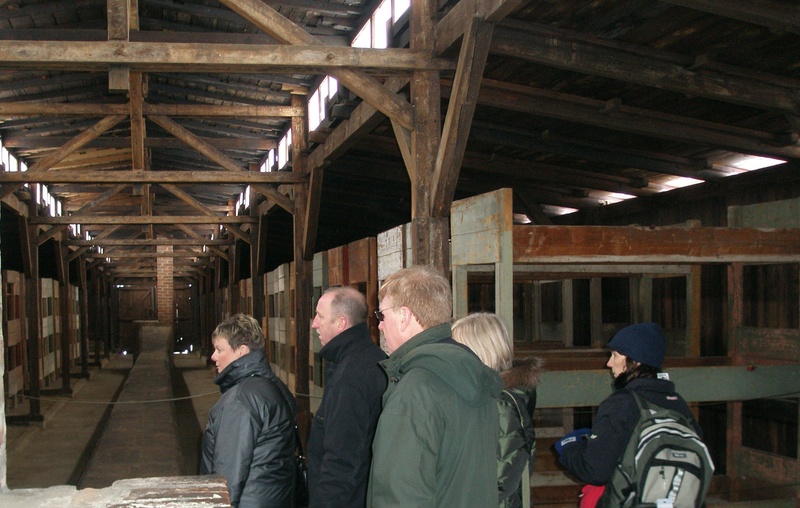 Some of the main brick built camp buildings, an ex Polish Army Barracks. 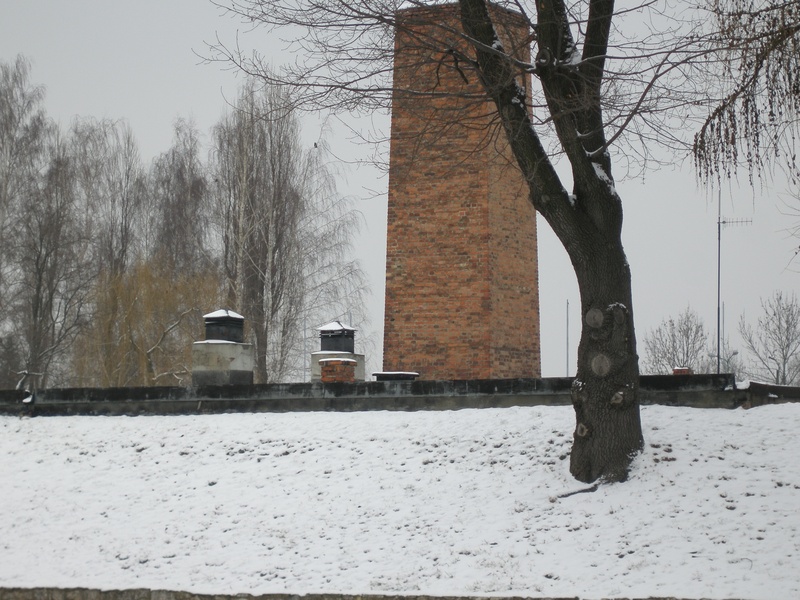 The roof of the gas chamber at Auschwitz main camp, the crematoria chimney in the background. 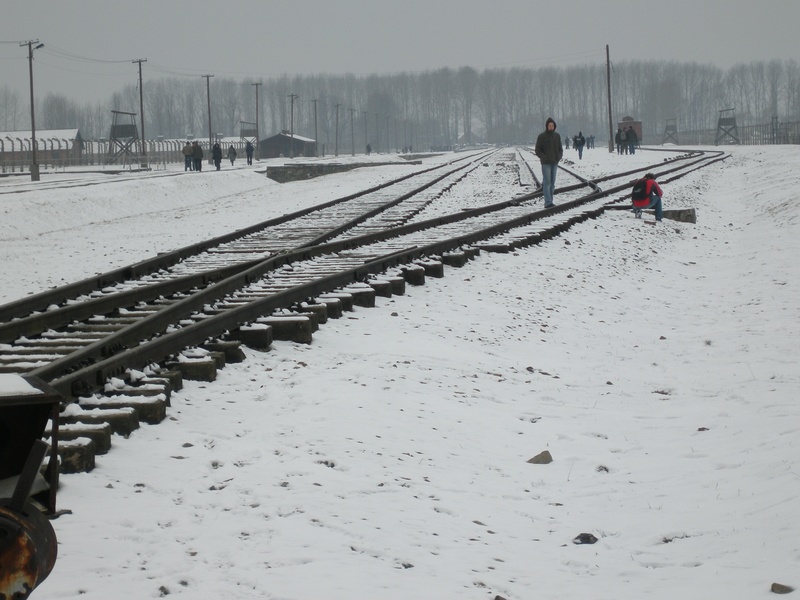 Auschwitz-Birkenau, the first view of this bleak concentration camp, Camp II. 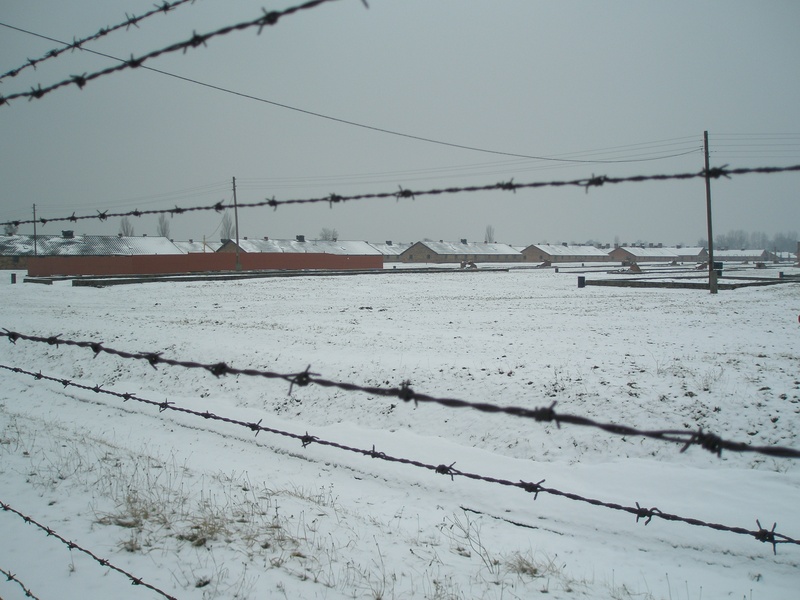 Looking into the camp through the barbed wire perimeter fence. 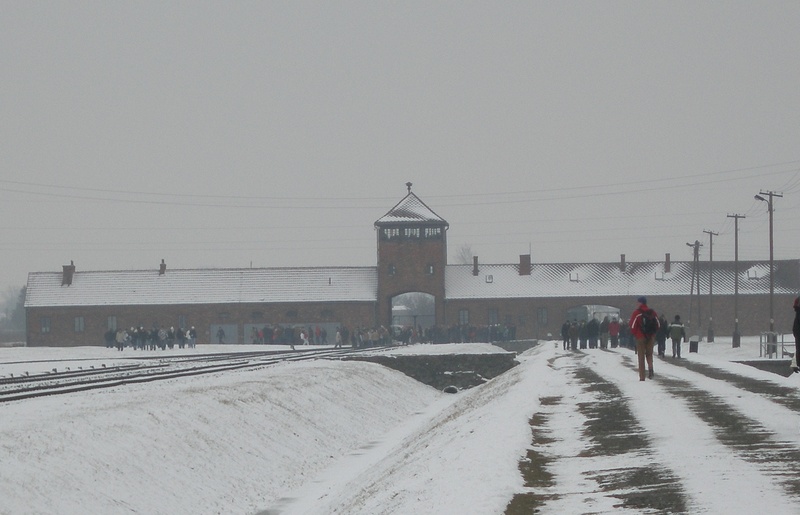 The Iconic picture of the entrance to Auschwitz-Birkenau. The view the guards would have had of the camp from the control tower at the top of the archway entrance. 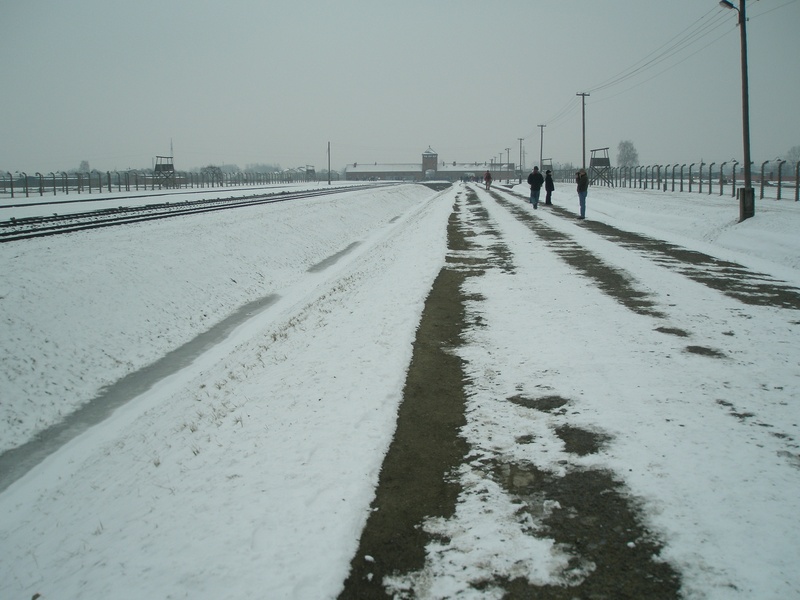 The view the camp prisoners would have got of the entrance to Auschwitz-Birkenau, as they were ordered off the cattle trucks to a fate they probably didn’t anticipate. The long railway sidings where the dogs would have been barking, whistles blowing, guards screaming, families separated and children crying. The reality of it all. 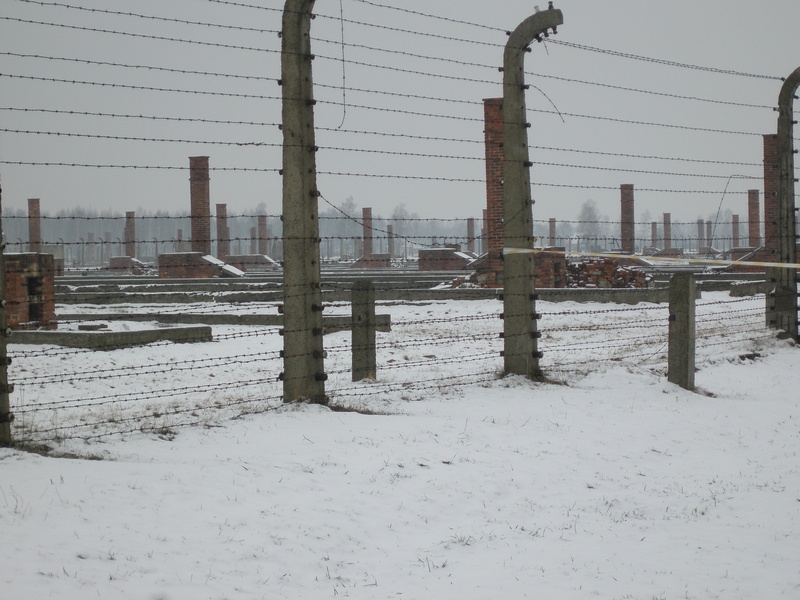 The site of some of the ruins of Auschwitz-Birkenau. 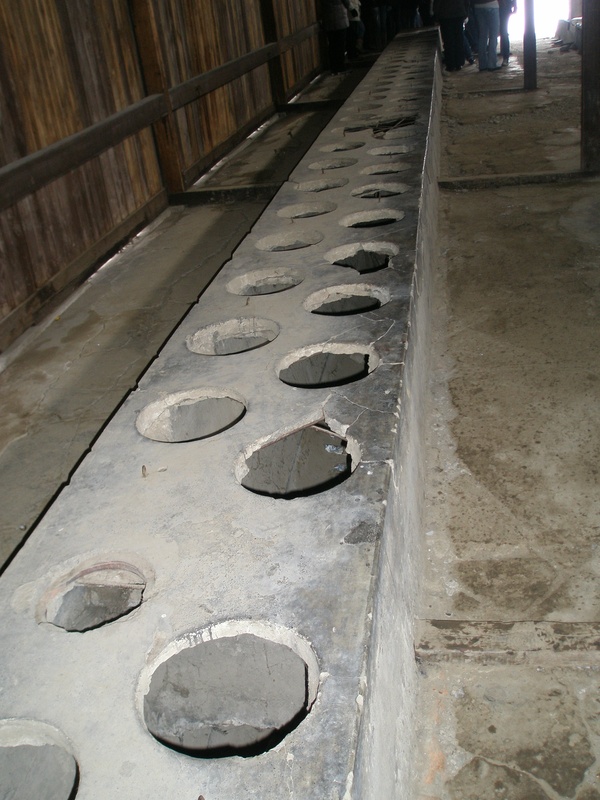 They had latrines, but not quite what we may be used to. A view of the bunk beds, although I don’t think it depicts the true horror that was experienced within. As indicated at the beginning, my intention was just to share a few photographs with you and not do a write up on the background to the camp and the atrocities linked to it. 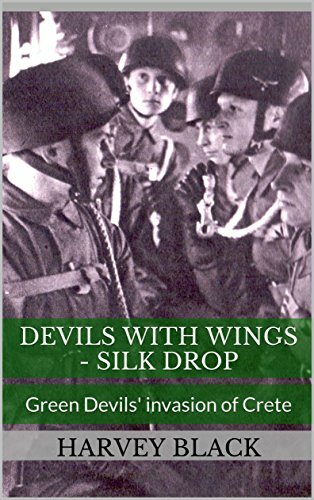 It was a fascinating, yet horrific, time in our Worlds history and I sometimes wonder if all the lessons from it have been learnt. Its hard to find words to explain how you feel looking at these images. Unbelievable, cruel, sad …yet then I would be considered sick to want to be there and feel that too. Or maybe angry that it happened in the first place and that we no longer show a real interest in history, or that we are biased to only want to understand the history within our country airbrushed to make us seem the more humane nation! I would look forward to seeing your portfolio of images and simple yet effective descriptions in a book!!! 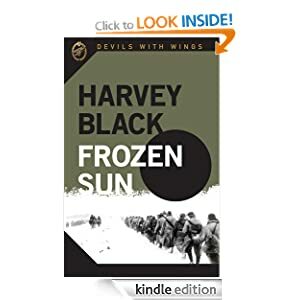 The pictures tell their own story Harvey. Who can fail to be moved by your photos Harvey? Not sure if summer would have lessened the impact, there is a grimness exuded by the emptiness as our minds can’t fail to try to imagine the horrors. 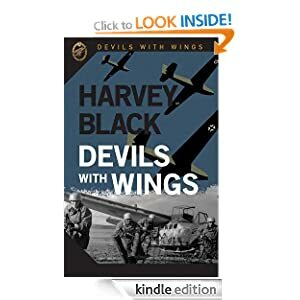 Thank you for sharing these, Harvey. Such powerful images, particulary interposed with the grim reality. Simply makes one want to weep. Wow. Incredible photos. The place still retains its horrific aura. I can only imagine what it feels like to actually walk among the ghosts there. As long as it stands, I don’t think the world can ever forget. Thanks for sharing, Harvey. Thank you all for your comments. I wasn’t sure at first about blogging them, knowing the horrors that occurred there. 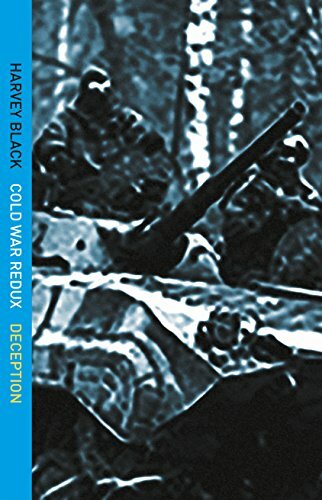 But I’m an avid believer that history and knowledge should be transparent, think back to the Nazi literary purge 1933, censorship at its worst. Wow, it just makes you feel so sad about the horror that went on there. It still looks blanketed in evil to me. Sends shivers through you. 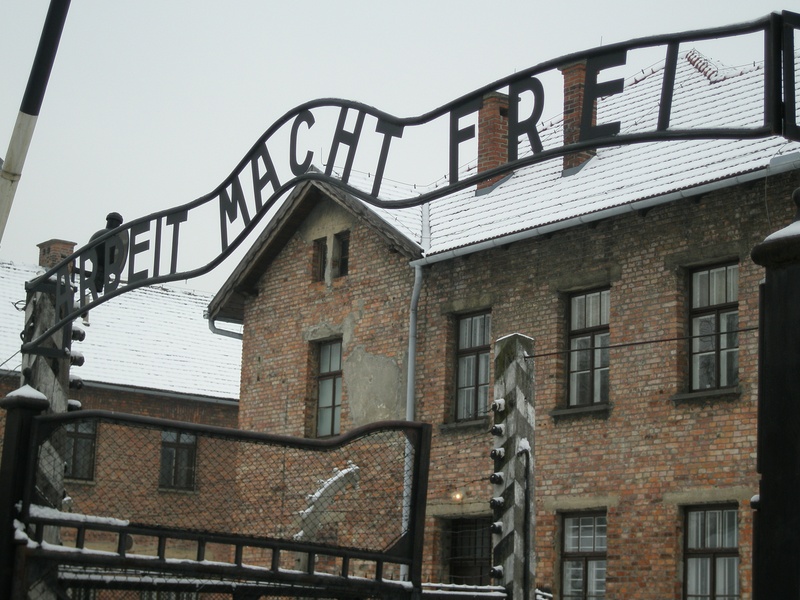 We can never forget the atrocities that took place there. Even now, it still looks evil. Sends shivers through you. 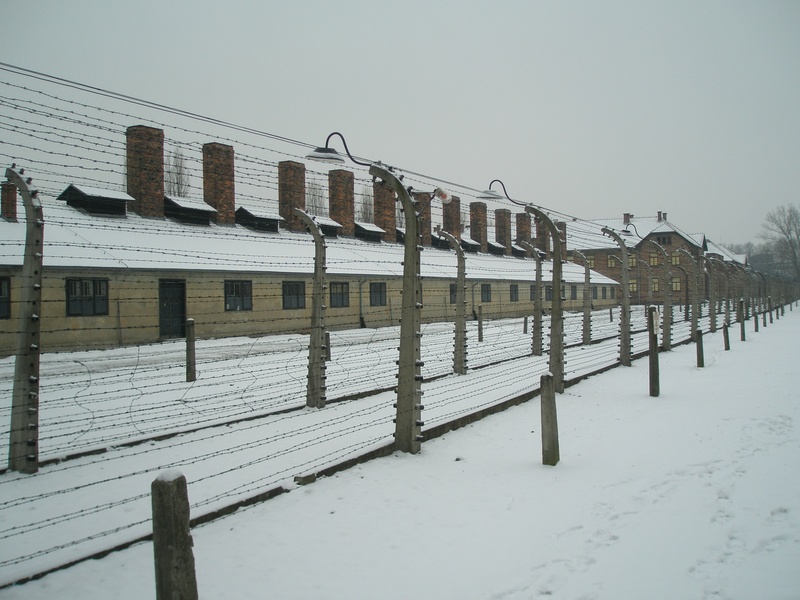 We can’t forget the atrocities that took place there. Even now, it still looks evil. Unimaginable horrors. 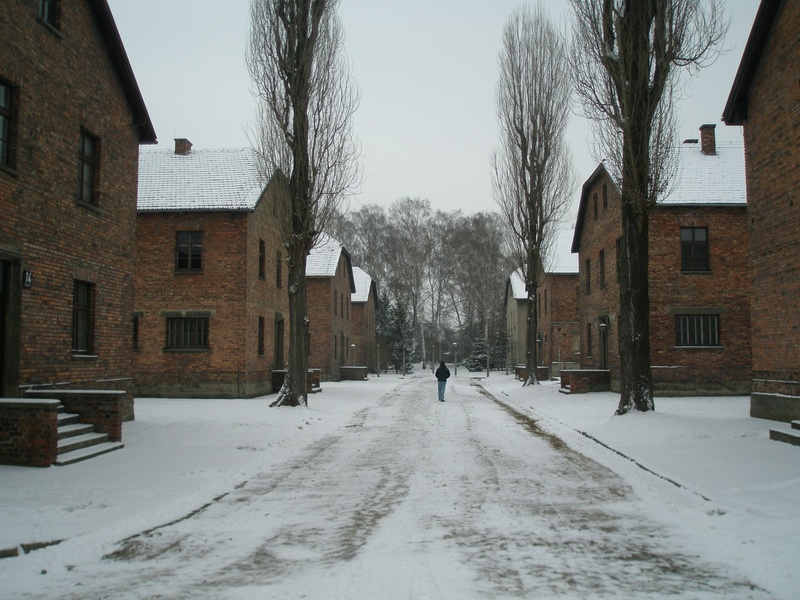 I visited Sachsenhausen on the outskirts of Berlin when I was in Germany as a student, and it haunted me for a long time afterwards.